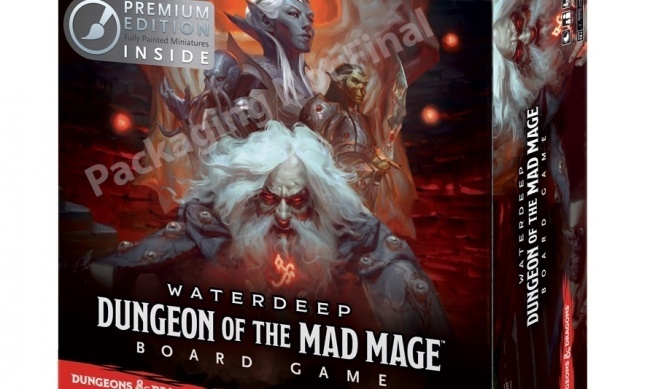 Based on the Wizards of the Coast’s Dungeons & Dragons Waterdeep: Dungeon of the Mad Mage adventure book where players enter the dungeon Undermountain and the subterranean refuge of Skullport, to take on the mad Wizard Halaster Blackcoak (see “WotC Reveals Two New 'D&D Waterdeep' Volumes”). In the board game, adventurers explore and search for treasure while navigating traps and dealing with monsters. The game includes multiple scenarios, quest, and game play deigned for a single player or a cooperative group of 2 – 5 players. There are new environment cards that get replaced when a new environment card is drawn, and new bane/boon cards, some of which have an effect that will require a new draw of the cards, to resolve the bane/boon effect. The box includes 42 single-colored* miniatures, 5 hero tiles, 4 villain tiles, 20-sided die, 40 interlocking dungeon tiles, 5 double-sized interlocking special tiles, 225 cards, over 300 tokens, an adventure book, and a rulebook. The game is for 1 – 5 players, ages 14 and up, and plays in 1+ hour. 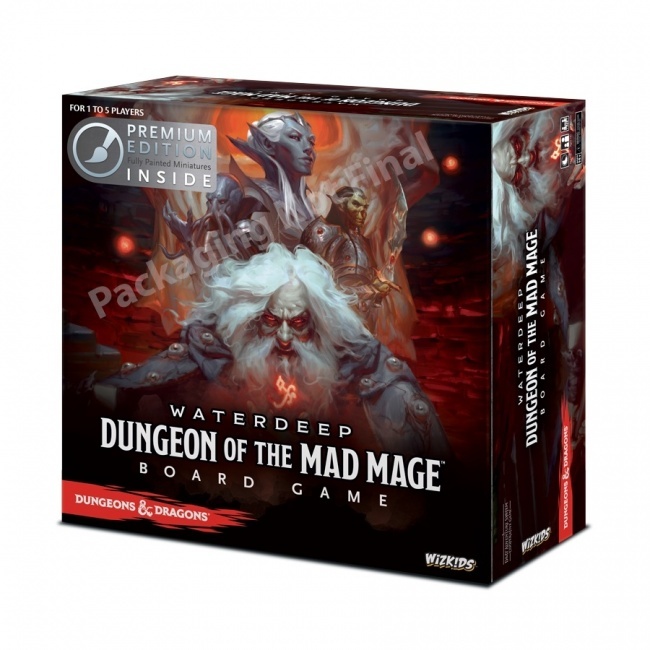 WizKids is also releasing D&D Icons of the Realms: Waterdeep Dungeon of the Mad Mage fantasy miniatures in February (see "The Mad Mage's Lab Comes to Life in 'D&D Icons of the Realms' Miniature Set").